My name is Jodie Norman, I am a Property Stylist and Director of Decorate For Sale. Decorate For Sale is an Interior Decorating Service that specialises in home styling and preparing your property for sale. Our aim is to enhance your home making it appealing to the highest number of potential buyers and as a result you attract the best possible sale price. This may involve partially furnishing your home using existing furniture and décor, a total furnish whereby we provide all furniture, accessories and artwork or alternatively a combination of both. 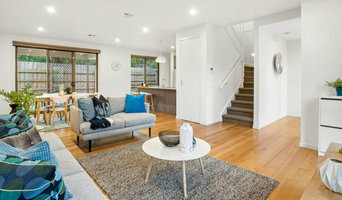 Home styling your property accentuates the features of the home, provides a feeling of space and allows the potential owner to envisage living in the home. We offer the complete pre-sale home package for whatever it is you require to ensure your home is looking its best. Styling Furniture hire Gardening Painting Decorate For Sale also offers colour consultations and all interior decorating services. PRESENTATION IS EVERYTHING! Complete Furniture Hire or Partial Hire- Tailored Packages to suit each client. We specialise in styling the furniture YOU already own, which saves you money and gives you a gorgeous presented home- Ready for your sale campaign! Hiring a complete Furniture Package or only Soft Furnishings is up to you! This way properties can obtain a style injection without the price tag! You don't get a second chance to make a good impression, prepare your property before selling adds value, increasing foot traffic and keeps potential buyers onsite for LONGER plus improves its visual appeal. Invite us over for an initial consultation (from $290) this will allow our team to identify how to best present your property, increase room size, highlight maintenance, re-arrange your furniture and reduce unnecessary items- this will assist showcasing your property at its absolute best. when you decide to hire items from us, we will then reduce your quote by our consultation fee! 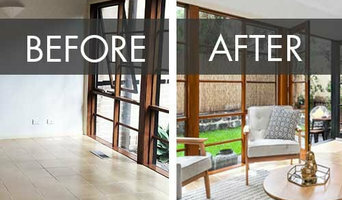 Property Styling Melbourne aims to make the process of selling your home easier, faster and more financially rewarding. We do that by acting as a one stop shop for home improvements, repairs, cleaning and landscaping and then we top it all off with Designer Property Styling. We also make it affordable. Finding the cash to fund these improvements when selling your home can be a challenge, so take advantage of our Style Now Pay Later today. With over 30 years in the building and property industry Cheryl has a wealth of knowledge to help her clients achieve the maximum sales price for any home by presenting their property in its glory. Each home is styled to tap into the emotions of the buyer not just with a beautiful welcoming home, but a whole lifestyle. Felicity has been running her business 'Visual Style' for 20 years and loves styling properties for owners and investors all over Melbourne. With her wealth of knowledge of product placement, colour and design, Felicity loves to assist clients in styling their home/investment property with the aim of generating the highest sale result possible. Whether it's an hour onsite consultation or a fully furnished styled home, Felicity will always provide a professional yet personal approach to each project. Felicity's attention to detail and creative flair, along with a positive working relationship between herself, the property owner and real estate agent are the keys to a successful and rewarding outcome. 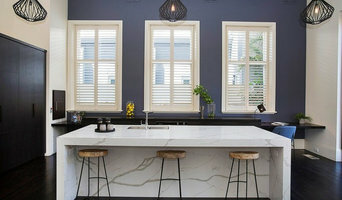 Styling Guru is Melbourne's affordable professional home stager with an aim to create beautiful home interiors that showcase your property's positive aspects and create buyer competition. Jennifer Grixti is the Principal Stylist at Styling Guru. She will personally handle your property styling so you gain a dedicated and personal level of service. For Jennifer, styling homes is her passion. She has a natural eye for beauty and brings this love of aesthetics to all her styling work. From initial contact, we can discuss which of our services will be most suitable for your needs. We create stylish interiors using premium furniture and accessories to fit perfectly within the interior of the home. We will create a warm personable space that the buyer can “see” themselves living in. Let Styling Guru help you create a welcoming atmosphere that will appeal to all buyers and ensure you gain the best selling price possible. Staged by Design, led by Carmen Pecina, provides a professional, fresh approach to home styling. Whether your property needs a full makeover or you're looking to stage your home to sell, we can help update your home to achieve the best possible outcome. Boutique property styling business, taking care of all the elements that turn your empty property into a contemporary, warm and inviting home ready for a sale campaign. SWAY provides a professional, fresh approach to styling that will maximize your sales result. Let us transform the presentation of your property by creating desirable spaces that will provide an emotional appeal for potential buyers. Make your first impression count! When selling your property, Impress Interiors create an irresistible ambience to entice buyers. We transform your property using beautifully coordinated furniture and decor, carefully selected to complement colour and architectural style, maximise buyer appeal AND your sale price. We have a large collection of original art and sculptures. Visual Illusions by Lisa provides you with a property styling solution that maximises the appeal of your property. Offering a obligation free quote. Picture this Properties prides itself on providing quality, affordable staging and styling solutions for everyone. Our staging team can tailor furniture and decor packages to suit every home and budget. Our qualified visual merchandisers and interior decorators are trained to present properties to help achieve optimal buyer appeal and therefore maximise sales results. 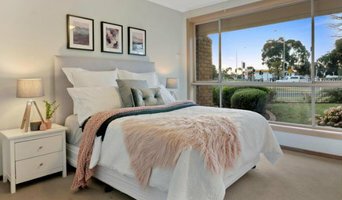 The Home Stylist or Stager works to prepare your Melbourne, Victoria home for the Victoria real estate market. Find a home stylist or stager on Houzz. 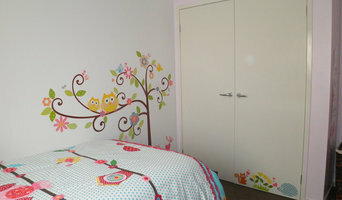 Narrow your search in the Professionals section of the website to Melbourne, Victoria home stylists. You can also look through Melbourne, Victoria photos by style to find a room you like, then contact the professional who styled it.